Have you thought about booking an Agrinio holiday package? It's simple with Expedia, and you'll be able to buy some fancy meals or presents for your buddies back home with the money you save. Earn savings of as much as 15%* when you book a package deal on Expedia. Choose from more than 400 partner airlines and 321,000 worldwide properties on our enormous database of accommodations and flights. Fly with who you want, stay where you want — now that's a dream holiday! You can postpone your travel bookings with us because we don't charge cancellation fees for almost all of our bookings. It's enjoyable to just wander the streets in a new place, but sometimes it's a good idea to have a plan in place. Grab your travel programme — we have heaps of excellent ideas for your Agrinio holiday. Public squares tell many stories. Amble across time-worn footpaths and be sure to keep an eye out for clues to the area's past at Dimokratias Square. Travellers in this destination are spoilt for choice. Itching to delve into the facts and stories of human history? Get a fascinating insight into people and societies of yesteryear at Archaeological Museum of Agrinion. Still got time on your hands? If the kids are bored with sightseeing and need to burn off some energy, why not take them on an outing to Dimokio Park? It's the ideal place to play a game of tag and chuck a ball around. Heading off to Agrinio? It'd be a good idea to secure a room for your cheap holiday or luxury getaway in advance. There are just 2 properties in the area. Start your holiday on an extravagant note by sliding between the soft sheets at the Marpessa Smart Luxury Hotel (76 Papastratou St). Alternatively, the Leto Boutique Hotel (2 Dimokratias Square) is a terrific place for the money-conscious traveller to spend their evenings. Booked those plane tickets for your trip to Agrinio yet? When you arrive, get ready to walk out into Araxos Airport (GPA). It's 35 miles (56 km) from here to the heart of town. 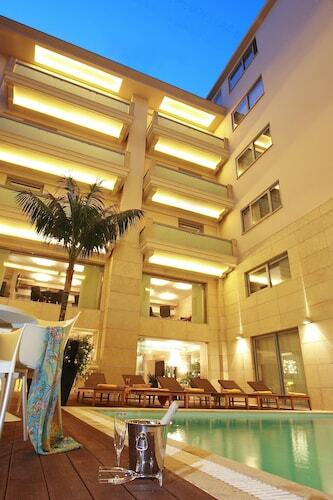 Located in the heart of Agrinio, this hotel is within a 10-minute walk of Dimokratias Square and Archaeological Museum of Agrinion. Dimokio Park is 0.5 mi (0.8 km) away. 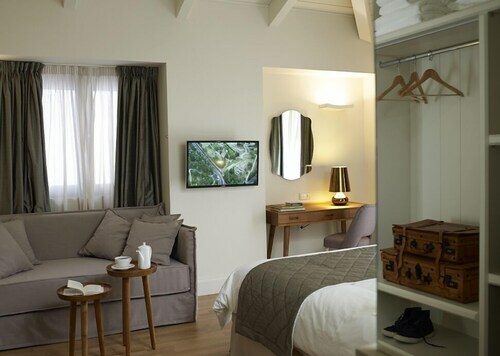 Located in the heart of Agrinio, this spa hotel is within a 5-minute walk of Archaeological Museum of Agrinion and Dimokio Park. Dimokratias Square is 0.5 mi (0.7 km) away. 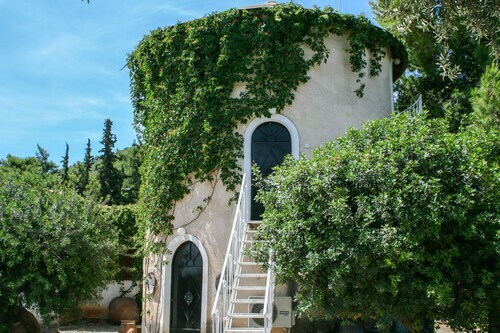 Nestled on the beach, this Agrinio aparthotel is 11.5 mi (18.4 km) from Proussos Monastery and 11.5 mi (18.6 km) from Agios Kosmas of Aetolia Monastery. Saints 12 Apostles Church and Archontiki House are also within 16 miles (25 km). 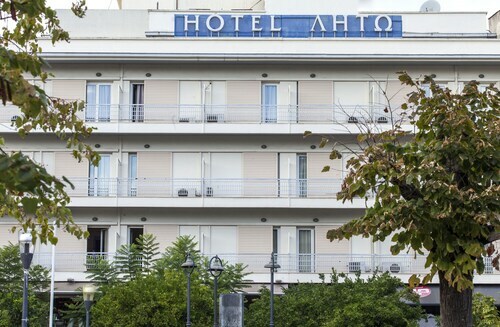 Located in the heart of Patras, this eco-friendly hotel is within a 15-minute walk of Saint Andrews Church, Patras Town Hall, and Psila Alonia Square. Georgiou I Square and Apollon Theatre are also within 1 mile (2 km). Patras Train Station is 18 minutes by foot. 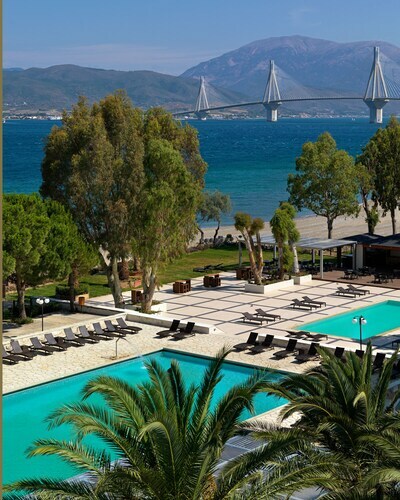 Nestled on the beach, this Patras hotel is within 3 mi (5 km) of Rio-Antirio Bridge, University of Patras and Kostas Davourlis Stadium. Saint Andrew (Agios Andreas) Church and Apollon Theatre are also within 6 miles (10 km). 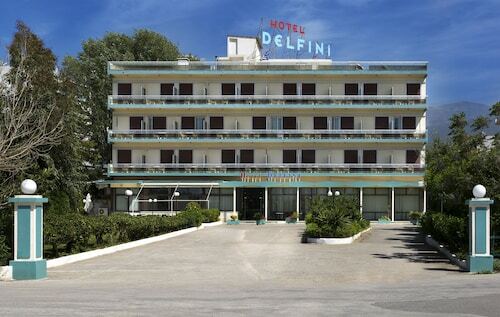 Located in the heart of Nafpaktos, this hotel is within 1 mile (2 km) of Nafpaktos Port and Nafpaktos Castle. Monastiraki Harbour and Bania Bridge are also within 12 miles (20 km). Nestled on the beach, this Patras hotel is within a 15-minute walk of Saint Andrew (Agios Andreas) Church and Kostas Davourlis Stadium. Georgiou I Square and Apollon Theatre are also within 2 miles (3 km). Patras Train Station is 27 minutes by foot. 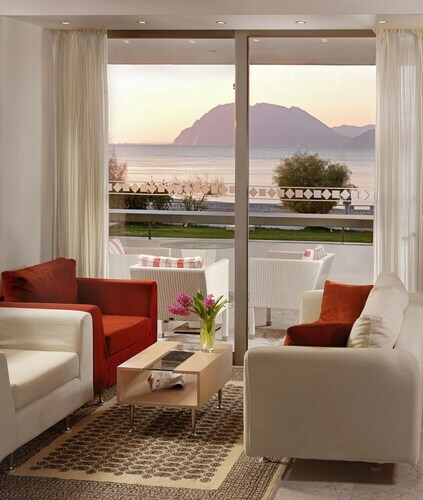 Nestled on the beach, this Patras hotel is 1.1 mi (1.8 km) from Rio-Antirio Bridge and 2.1 mi (3.4 km) from University of Patras. Kostas Davourlis Stadium and Saint Andrew (Agios Andreas) Church are also within 6 miles (10 km).